This is a question RMA Surveyors, Newbury, are often asked to clarify, during an initial party wall enquiry. The extract below is taken from the Department for Communities and Local Government Party Wall etc. 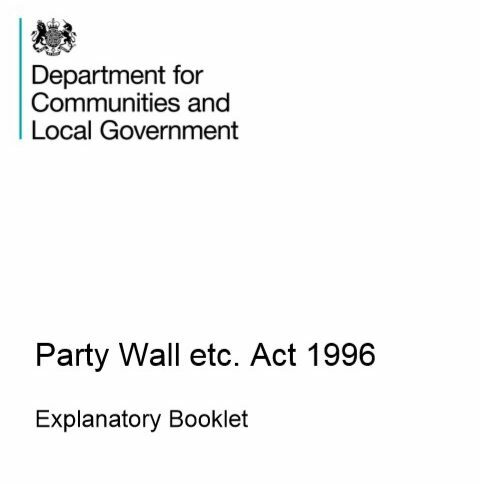 Act 1996 explanatory booklet and explains what the Act defines as a party wall. RMA Surveyors are experienced and professional Party Wall Surveyors. We act on behalf of building owners and adjoining owners, as well as agreed surveyors for both parties. If you’re looking for Party Wall advice, call RMA Surveyors on 01635 579 208. Proud members of the Faculty of Party Wall Surveyors (FPWS) and the Royal Institute of Chartered Surveyors (RICS). The Party Wall etc. 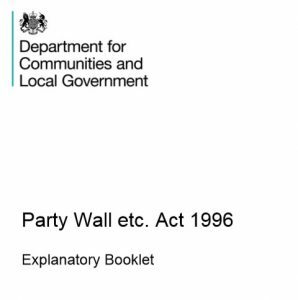 Act 1996 recognises two main types of party wall. 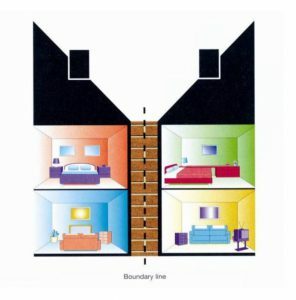 A wall is a “party wall” if it stands astride the boundary of land belonging to two (or more) different owners. 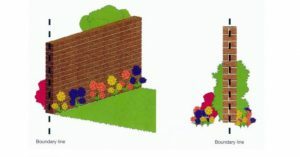 or consists of a “party fence wall” (see diagram 3). A wall is a “party fence wall” if it is not part of a building, and stands astride the boundary line between lands of different owners and is used to separate those lands (for example a masonry garden wall). This does not include such things as wooden fences or hedges. Only the part of the wall that does the separating is “party” – sections on either side or above are not “party”. The Act also uses the expression “party structure“. 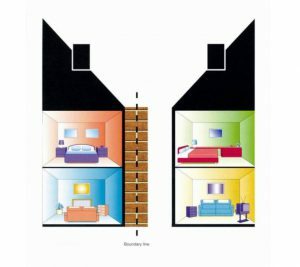 This is a wider term, which could be a wall or floor partition or other structure separating buildings or parts of buildings approached by separate staircases or entrances for example flats (see diagram 5). 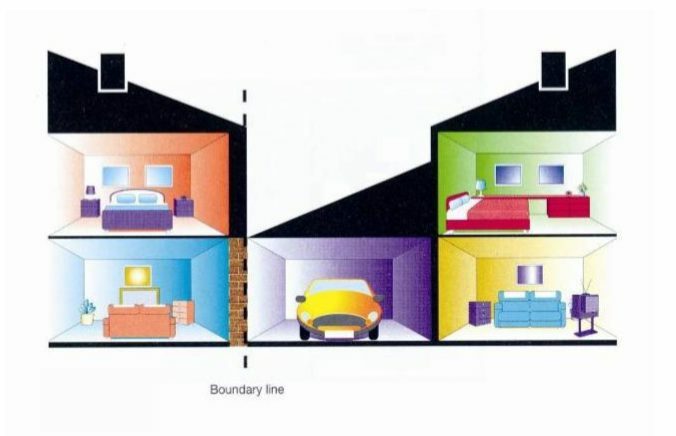 These may include boundary walls (a fence wall/garden wall built wholly on one owner’s land) and external walls (the wall of a building built up to but not astride the boundary). If you’re unsure if the Party Wall etc. 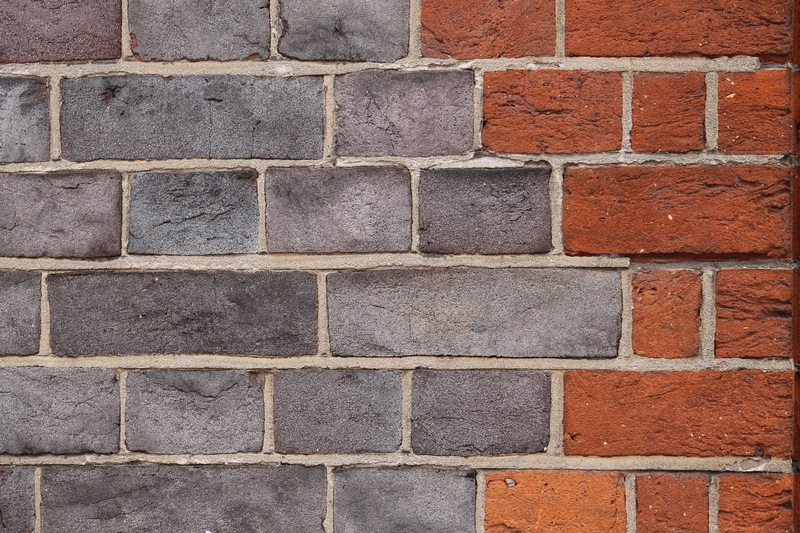 Act 1996 affects you, here’s some advice from the Faculty of Party Wall Surveyors. Determining if a particular building project is within the scope of the Party Wall etc. Act 1996 is often more complex than simply checking the general criteria stated above. Failure to correctly identify the status of your project could result in the building works being unlawful. If you are in any doubt you should always seek professional advice. RMA Surveyors are experienced and professional Party Wall Surveyors. We act on behalf of building owners and adjoining owners, as well as agreed surveyors for both parties. If you’re in need of a Party Wall Surveyor, contact us on 01635 579 208. We are proud members of the Faculty of Party Wall Surveyors and the Royal Institute of Chartered Surveyors (RICS). RMA Surveyors in Newbury, Berkshire are experienced Party Wall Surveyors. Providing professional advice on what can seem a daunting and complicated matter. We are members of The Faculty of Party Wall Surveyors and offer party wall surveying and advice in compliance with The Party Wall Act 1996. We act on behalf of building owners and adjoining owners, as well as agreed surveyors for both parties. If you’re in need of a Party Wall Surveyor, get in touch on 01635 579 208. For further information on the Party Wall etc. 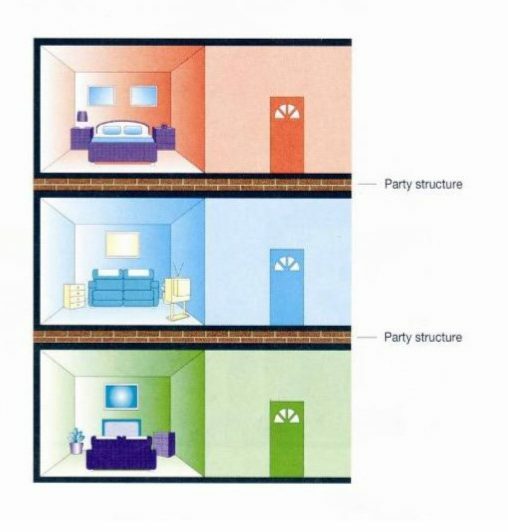 Act 1996, take a look at the RICS Consumer Guide: Party Walls. 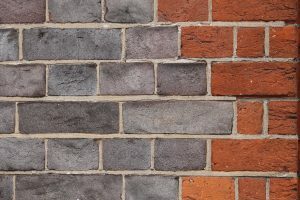 There are three types of Party Wall Notice that a building owner may have to serve on an adjoining owner when undertaking works that fall within the scope of the Party Wall etc. Act 1996. For further information, view the Government Guidance. 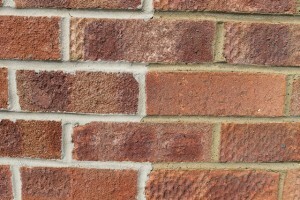 Which Party Wall Notice should be used? A party structure notice, under section 3 of the Party Wall etc. Act 1996, describes the intention to exercise rights, conferred under section 2, to undertake certain works to a party structure and certain limited works to an adjoining owner’s independent building (minimum notice period is two months). The required notices must be served on all adjoining owners with an interest in the relevant structures or land. Notices of Adjacent Excavation are concerned with works notifiable under section 6 of the Act. The provisions of section 6 of the Party Wall etc. Act 1996 (the Act) are designed to try to avoid the careless destabilising of the foundations to buildings and structures that are in close proximity to a development site. If works will involve excavation of any type (whether or not for foundations), and that excavation falls within certain dimensional parameters in relation to an adjoining building or structure, then notices must be served. A line of junction notice describes the intention to construct a wall either astride or abutting a boundary, which is not presently built upon, or is built upon only to the extent of a simple boundary wall wholly on one party’s land. (Minimum notice period is one month). For more information on Party Wall Notices view the RICS Guide to Party Walls. If you believe you need to serve a Party Wall Notice or you are in receipt of one, call RMA Surveyors for professional advice. Proud members of the Faculty of Party Wall Surveyors and the Royal Institution of Chartered Surveyors. RMA Surveyors are experienced Party Wall surveyors providing Party Wall surveying and advice in compliance with the Party Wall etc. Act 1996. We act on behalf of building owners and adjoining owners, as well as agreed surveyors for both parties. Contact RMA Surveyors in Newbury, Berkshire on 01635 579208. 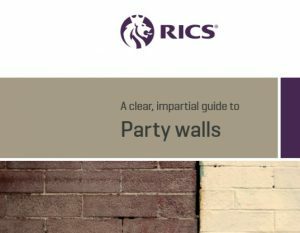 The Royal Institution of Chartered Surveyors (RICS) have produced a clear and impartial guide to Party Walls. If you’re in need of professional advice, contact Chartered Surveyors, RMA Surveyors Ltd in Newbury, Berkshire, on 01635 579208. RMA Surveyors can assist in your understanding of the Party Wall etc. Act 1996 and the notice requirements. Party Wall notices are required where a property owner (The Building Owner) is planning works that are likely to affect a neighbouring owner’s (The Adjoining Owner) property. RMA Surveyors have served numerous Party Wall notices on behalf of those undertaking works notifiable under the Party Wall Act etc. 1996. 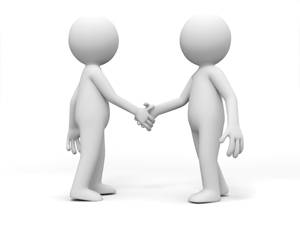 We act on behalf of building owners and adjoining owners, as well as agreed surveyors for both parties. RMA Surveyors are experienced party wall surveyors and proud members of the Faculty of Party Wall Surveyors and the RICS. “We appointed Richard Mountain of RMA Surveyors to act on our behalf, as our neighbours had commenced work excavating right next to our house, without serving a party wall agreement. Richard’s knowledge and expertise helped resolve the issue and allowed our neighbours build to continue whilst protecting our property, which was our biggest concern. Unfortunately our neighbours chose to ignore the first award and we had to engage Richard again to go through another award. He worked extremely well to support us and offered a voice of reason to ourselves, our neighbours and the barrister we had to engage. RMA Surveyors provide Party Wall surveying and advice in compliance with The Party Wall etc. Act 1996. We act on behalf of building owners and adjoining owners, as well as agreed surveyors for both parties. RMA Surveyors are members of The Faculty of Party Wall Surveyors, so you can feel confident that you’re receiving professional advice and guidance. Contact experienced party wall surveyors, RMA Surveyors on 01635 579208 for further information on Party Wall matters. Does the Party Wall Act apply? A common question received at RMA Surveyors is: does the Party Wall Act apply to me? If you’re uncertain as to whether the Party Wall etc. Act 1996 applies to you, then why not look at the below chart. It’s a quick reference flowchart, from the Faculty of Party Wall Surveyors, which shows the steps required when considering the Party Wall Act. The Faculty of Party Wall Surveyors flowchart. RMA Surveyors Ltd are experienced party wall surveyors, based in Newbury, Berkshire. We provide Party Wall surveying and advice in compliance with The Party Wall etc. Act 1996. We act on behalf of building owners and adjoining owners, as well as agreed surveyors for both parties. If you’re in doubt as to whether the Party Wall Act applies, contact RMA Surveyors for professional advice on 01635 579208. Proud members of the Faculty of Party Wall Surveyors (FPWS) and the Royal Institution of Chartered Surveyors (RICS).